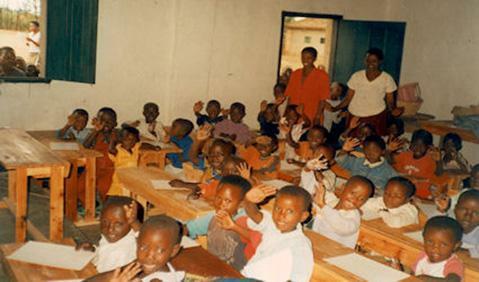 £5,500 was used to sponsor forty-five children through their education during the 2009 academic year. School fees have increased sharply this year, and for boarders in the secondary school, it costs at least £180. However, for lower secondary aged pupils, the government is adding classes to primary schools. This will enable all pupils to reach Level 3 secondary at a minimum cost. Some schools adopted the system this year and others will follow next year. This will relieve many families who will be able to send their children to lower secondary schools for about £50 per year. At the end of 2008, six of the students helped by the Birmingham Catholic Primary Partnership sat their national exams. All of them passed and three students have received a grant to continue their studies at university in 2010. At the Children's Home in Ruyenzi, the initial project was to replace all the asbestos roofing. However, due to crumbling brick walls, it was impossible just to replace the roofing. As a result, the allocated funding, (£10,000), was used to build a dormitory for twenty-eight children. At the moment the Children's Home houses forty-five children. Four are toddlers, five children go to nursery school and thirty-four are at primary or secondary level. Two girls with severe special needs do not study. Of the older girls who have recently finished school, one is a care assistant, one a teacher and third is studying computer science at university. £5,500 was allocated to this project. The money was used to replace some of the solar batteries and to renew other parts of the solar installation, on which the Health Centre is very dependent, as there is no electricity in this area. 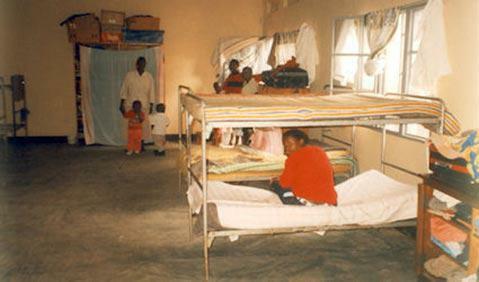 The Health Centre receives between eight hundred and a thousand sick people a month. The Centre offers basic medical care, has a nutritional centre and wards for those needing short-term hospital care. The maternity ward is frequently used with about thirty births taking place each month. There is also an advisory and support team for those who have been diagnosed with AIDS. Rugogwe is situated about six kilometres from Kiruhura, where the water project was based. The village has a small primary school, part of which was built in 1910. The school has five hundred pupils and a staff of nine teachers. As a result of the £2,000 allocated to this work, the school managed to furnish two nursery classes with fifty desks and carry out the necessary repairs. The Sisters in Rwanda always remember our schools in their prayers and in their most recent letter expressed their deep gratitude for the work we are funding.